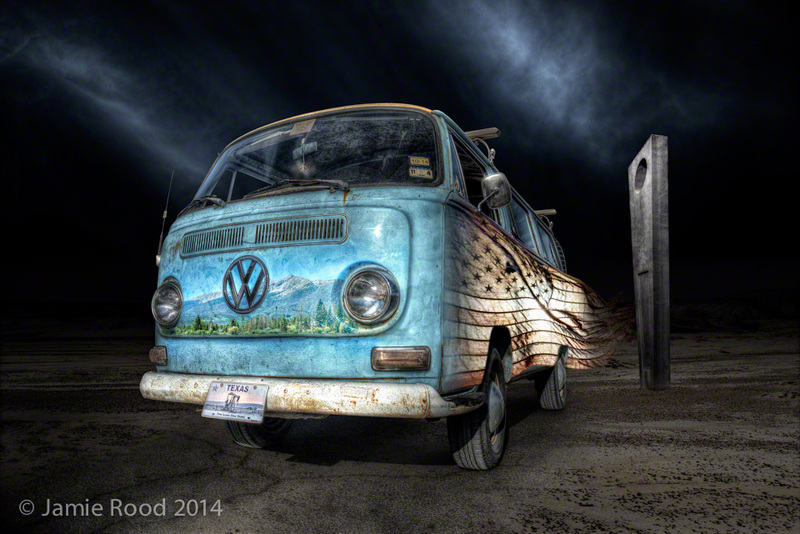 VW Bus photo montage featuring old waving American flag, Colorado mountain scene with trees and lake reflection, pump-jack license plate, and a pillar from my studio to represent a home base. 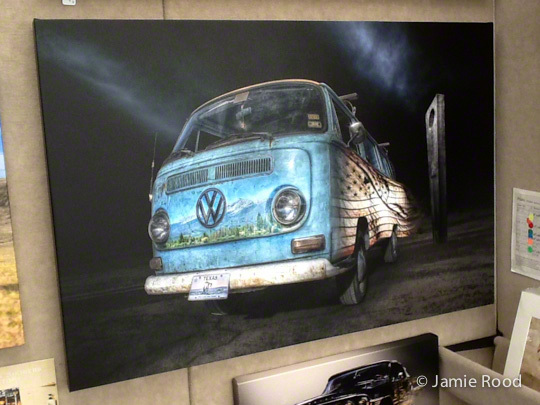 Van was shot in March, 2014 in front of my studio at the Violet Crown Center in Austin, Texas. Sky was part of the shot, but heavily modified, faint New Mexico badlands background fades into the parking lot surface. This entry was posted on Wednesday, April 16th, 2014 at 4:20 pmand is filed under . You can follow any responses to this entry through the RSS 2.0 feed. You can leave a response, or trackback from your own site.